After visiting the Crossroads where Robert Johnson allegedly sold his soul to the devil in Clarksdale, Mississippi, we drove about an hour south to pay our respects to Johnson himself. 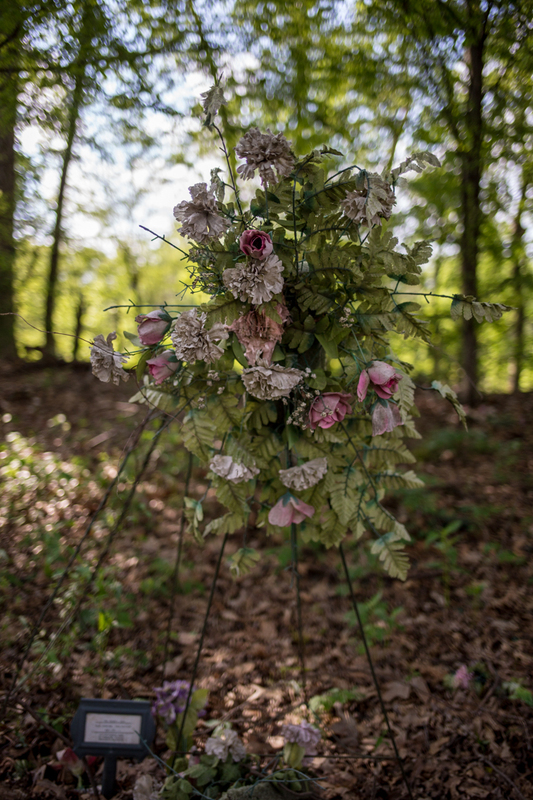 Like a lot of things about Johnson's life, the location of his remains is still up for debate—in fact, three different spots in the same Mississippi county claim to be the blues legend's final resting place. Even the cause of Johnson's death at the age of 27 is still somewhat of a mystery. The most popular theory says that Johnson, having flirted with a married woman, drank from a whiskey bottle poisoned by her jealous husband. His condition worsened and after three days of convulsions and severe pain, he died on August 16, 1938 in Greenwood, Mississippi. Because death from poison (such as strychnine, which has been suspected in this case) would have occurred within hours, not days, it has also been suggested that Johnson may have died of syphilis. Three different churches around Greenwood have markers dedicated to Johnson, but we only had enough time to check out one of them. 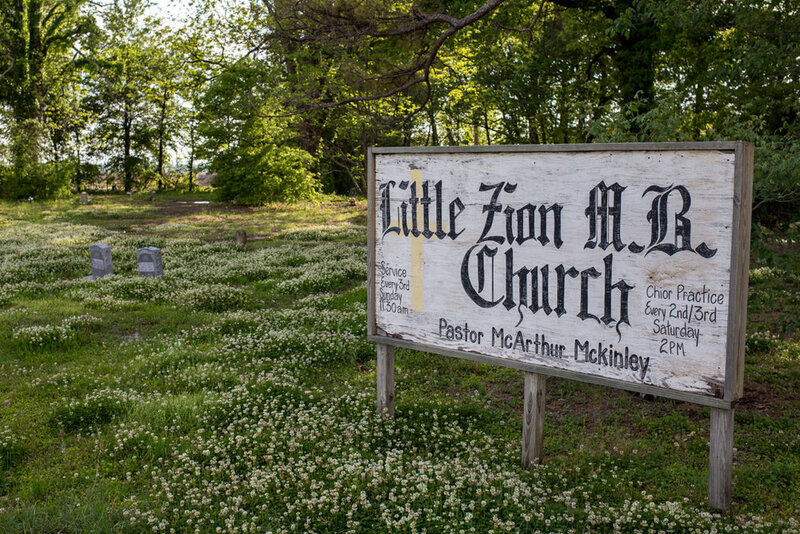 Based on its proximity to the plantation where Johnson died, the Little Zion Missionary Baptist Church cemetery is the most likely of the three locations to actually contain Johnson's remains. The church itself wasn't open when we visited, but it's exactly what I imagined a roadside baptist church in the middle of Mississippi would look like. 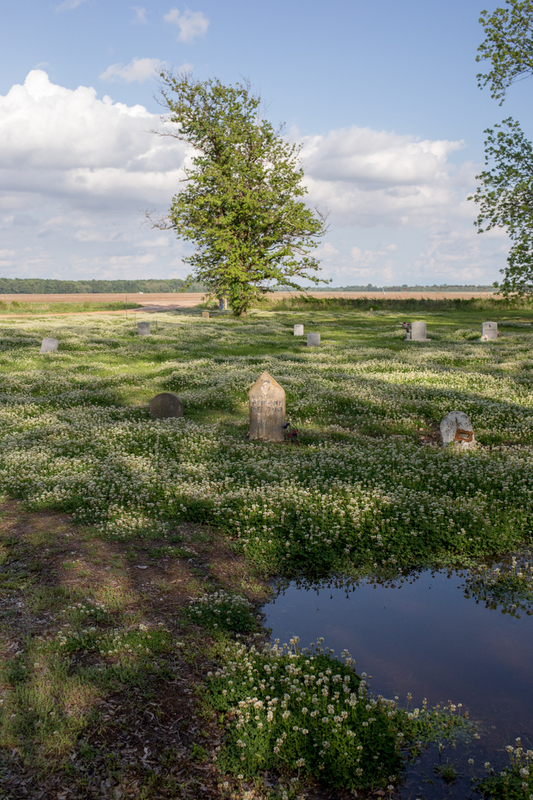 The churchyard contains a handful of graves—including, coincidentally or not, several other Johnsons—and it was flooded and very muddy. If you're facing the church, Robert Johnson's grave is located in the back corner of the churchyard to the left, but it's hard to miss. 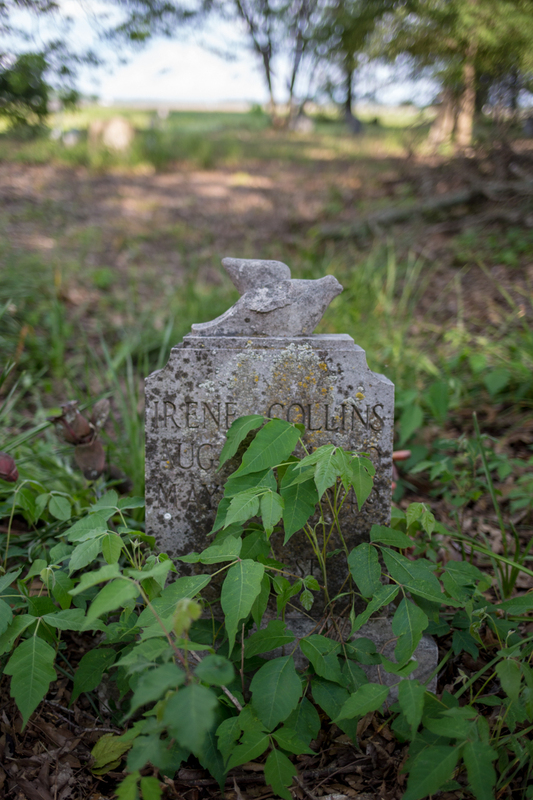 His grave was covered in mementos—liquor bottles, beer cans, guitar picks, coins, a string of beads and other fan offerings like Divine's headstone in Maryland—and a donation box sits next to the headstone.